I love my Russian piping tips. I wish that I had thought to invent them. Making beautiful flowers is really easy with them. 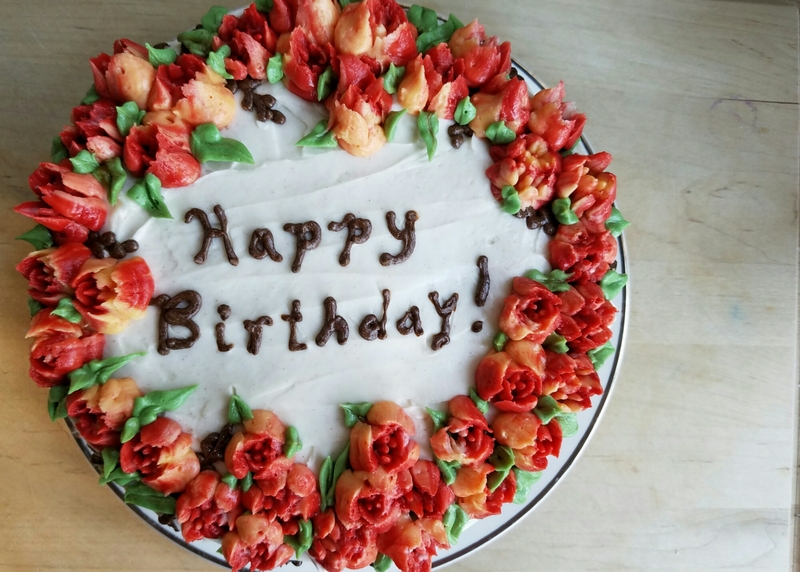 This was piped using my rose tip, and a Wilton #352 for the leaves. I started with the yellow flowers, then gradually added red to get shades of coral. I get asked to make my Chocamocha cake quite a bit, and coral is my go-to color for decorating the brown mocha frosting. I love putting flowers at the base. This cake was a pumpkin spice chocolate chip cake with cream cheese frosting. I put different shades in the piping bag for the flowers, and followed with some Wilton Moss Green leaves. That’s my favorite green for leaves. 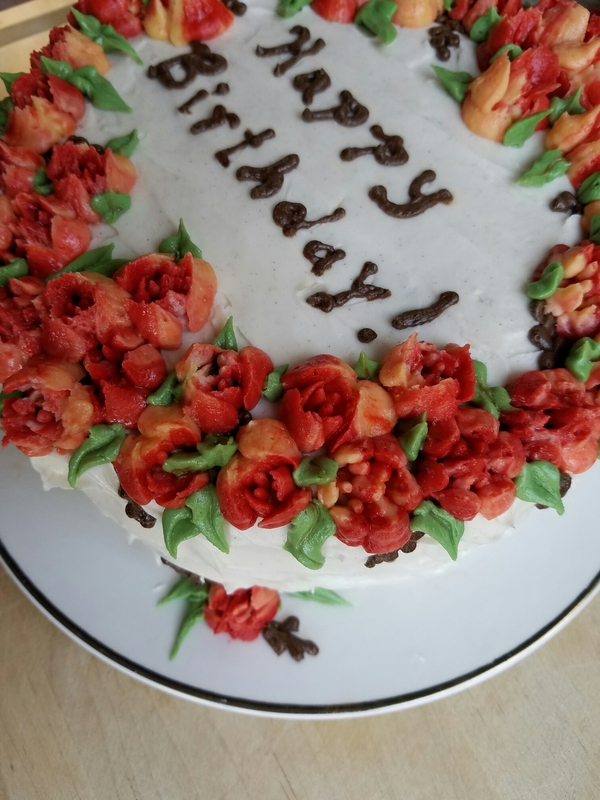 I added a few brown embellishments and a few flowers around the base of the cake. Ok, one more Chocamocha cake. This one is shades of white and yellow. I also used two different shades for the leaves. 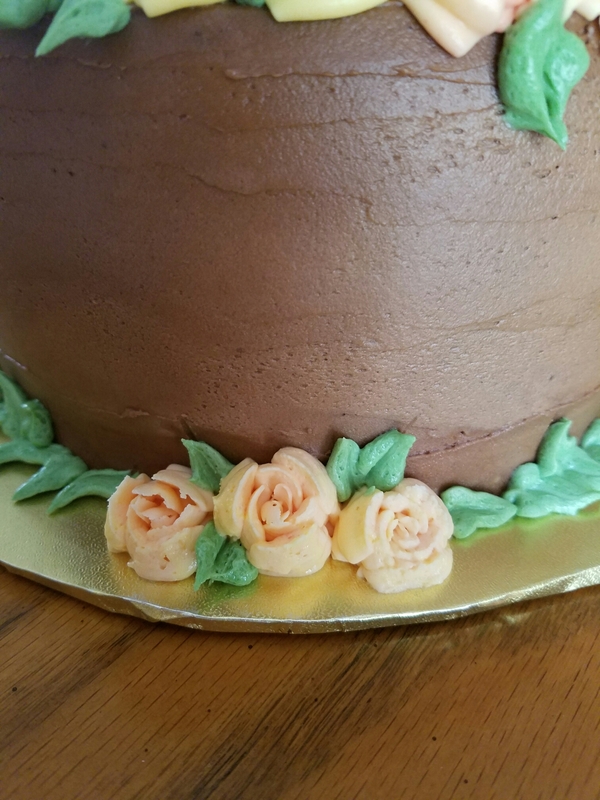 As you can see, I tried a couple different tips out on this cake. 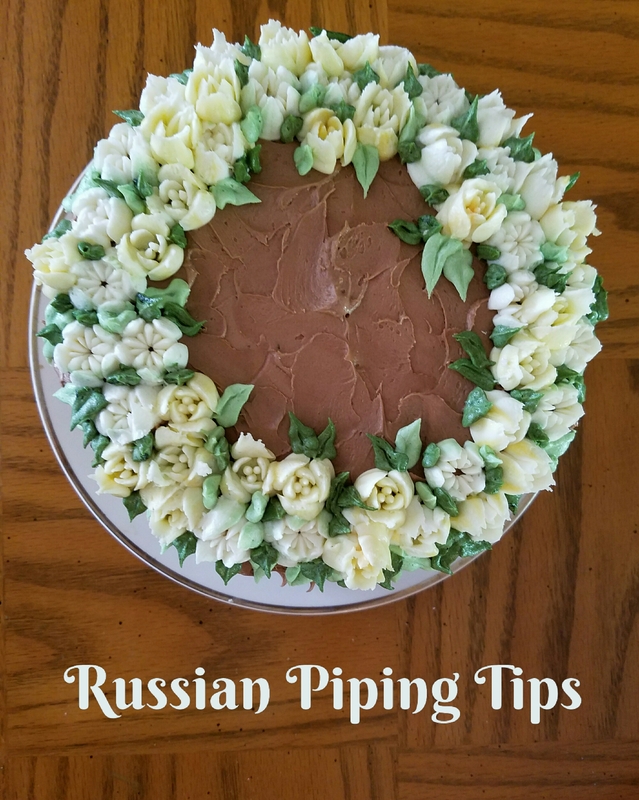 If you found this post looking for how to use Russian piping tips, check out my how-to post here. I also have 5 pointers for beginners here. I also did a Starbucks cake recently, I’ll have to post that also. As you can tell, I have been doing a lot of cakes. Today I want to sew two skirts, make some thank you cards, transplant some cabbage collards, plant a few seeds, and soak some sugar snaps. Love sugar snaps. I’d like to cover my fence in them. What are you up to in the post-Christmas lull?